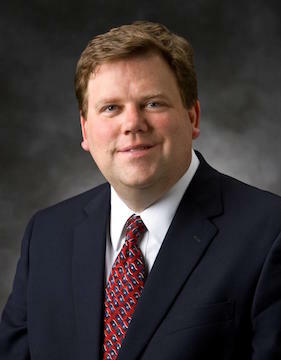 Reid L. Neilson is assistant church historian and recorder for The Church of Jesus Christ of Latter-day Saints and managing director of the Church History Department. He is a member of the Church History Department Editorial Board. Previously he was an assistant professor of LDS church history and doctrine at Brigham Young University. He is the author, editor, and coeditor of several books, including Peter Neilson Sr.: A Consecrated Life (author, 1997); A Historian in Zion: The Autobiography of Andrew Jenson, Assistant Church Historian (author, 2016); The Rise of Mormonism (editor, 2005). Neilson holds a PhD in religious studies with an emphasis in American religious history from the University of North Carolina at Chapel Hill, where he was named an International Studies Scholar for Tomorrow Fellow. He earned his bachelor’s degree in international relations from BYU. he also holds graduate degrees in American history and business administration from BYU. He also worked for Arthur Andersen’s Strategy, Finance, and Economics Division in Los Angeles and London, consulted for Walt Disney’s Strategic Planning Division in Tokyo, and researched for the University of Michigan Business School’s Asia-Pacific Human Resources Partnership in Hong Kong. This page was last edited on 3 January 2018, at 18:26.